The Social Transformations and Education (STE) Research Hub addresses questions about educational purposes, policies and practices in light of social transformations. Our work explores new formations of knowledge, identities, social relations and cultural diversity, and how these are shaping and are shaped by education. We engage with disciplinary perspectives from across the social sciences and humanities, including philosophical, historical and sociological approaches, as well as interdisciplinary policy studies. The STE Research Hub encourages work that explores new modes of theorizing to better understand the ways in which social and educational transformations are historically constituted and politically contested. Researchers draw from scholarship in globalization, postcolonial, feminist, socio-material and cultural studies, and also in the sociology of knowledge and political theories of inequality and social justice. Affiliated researchers include academic staff, postdoctoral fellows and graduate students, creating a vibrant scholarly community and hub for working with other researchers and research centres within MGSE and across the university. We are keen to incubate ideas, build collaborations and partnerships, and seed new research activities that connect with our interests and the following themes and topics. The hub aims to incubate new and existing research projects; to provide a supportive critical mass of complementary scholars; to be a visible presence within the MGSE to attract prospective RHD students as well as high profile academics to, for example, competitive Fellowship schemes; and to provide the intellectual leadership necessary to build these research interests into successful, high profile and strategic programs of research. Pro Vice-Chancellor (Research Capability) University of Melbourne; Professor, Curriculum, Equity and Social Change, Melbourne Graduate School of Education. 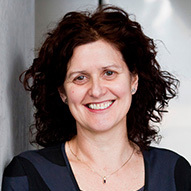 Julie McLeod is Professor in Curriculum, Equity and Social Change at the Melbourne Graduate School of Education and Pro Vice-Chancellor (Research Capability) at The University of Melbourne. Julie researches in the history and sociology of education, with a focus on youth, gender and social change. She was an editor of the journal Gender and Education (2011-2016). She held an Australian Research Council Future Fellowship (2012-2016) and is a Fellow of the Academy of Social Sciences Australia. Lyn Yates is one of Australia's foremost educationists. She has written extensively on gender and education, what makes good education research, and on curriculum in a changing world. 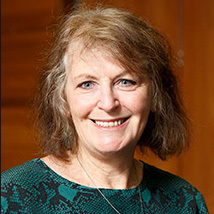 Lyn is a fellow of the Academy of Social Science, a past president and honorary life member of the Australian Association for Research in Education (AARE) and has previously been Pro Vice-Chancellor (Research) at the University of Melbourne. Her recent and current research is about knowledge, reform, and governance issues across schools and universities. 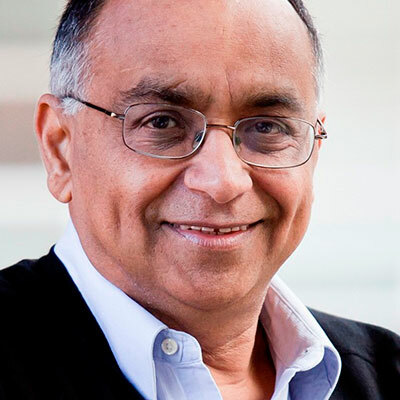 Fazal Rizvi is a Professor of Global Studies in Education at the University of Melbourne, as well as an Emeritus Professor at the University of Illinois at Urbana-Champaign. He has written extensively on issues of identity in transnational contexts, globalisation and education policy. Between 1998 and 2001, Fazal served as Pro Vice Chancellor (International) at RMIT University, and in 1996 established and directed Monash Center for Research in International Education. Fazal's book, Globalizing Education Policy (Routledge 2010) has been widely used in courses around the world. A collection of his essays is published in Encountering Education in the Global: Selected Writings of Fazal Rizvi (Routledge 2014). Fazal is a Fellow of the Australian Academy of the Social Sciences and a past Editor of the journal, Discourse: Studies in Cultural Politics of Education, and past President of the Australian Association of Research in Education. In 2016, Fazal published a major report for the Australian Council of Learned Academies on Australia's Asian Diaspora Advantage. He has also been a member of an international research team on a large ARC funded project on elite schools, which led to the production of a jointly authored book, Class Choreographies: elite schools and globalization (Palgrave 2017). He is currently working in three research areas: Transnationalism and Diaspora Formations; Higher Education policy in India and Southeast Asia; and Rethinking Cosmopolitanism and Learning in Transnational Spaces. Jessica works across the disciplines of sociology and history with particular research interest on the relationship of education to social change and politics, shifting - but persistent - experiences of inequality, and critical theories and methodologies. Jessica is Senior Lecturer in Education, Equity and Politics. She coordinates Melbourne Graduate School of Education's Masters of Education specialisation Equity, Diversity and Social Change. Jessica was a McKenzie Postdoctoral Fellow, 2012-2015, and has won a number of awards in recognition of her research, including an Early Career Researcher Commendation from The Academy of Social Sciences in Australia in 2015. She publishes widely, and her most recent monograph, Precarious Enterprise: Work, Poverty and Homelessness on the Margins, was published by Palgrave Macmillan. Dr. Ligia (Licho) López is a McKenzie Fellow at the Melbourne Graduate School of Education. Her scholarly interests include “diversity,” youth popular and visual cultures as curriculum, migrations, and post-foundational avenues in educational inquiry. Licho Lopez's current research turns to young people as curricular experts and asks: if schools are for and by young people, how come schools refuse young people’s cultures in the classrooms? How is another curriculum possible? Dr. López’s work has appeared in peer-reviewed journals in Latin America, Australia, the US, and Europe. Her dissertation received AERA’s 2017 Division B Outstanding Dissertation Recognition Award in Curriculum Studies. John Quay has a school teaching background in outdoor environmental education and physical education. His research interests include these areas of teaching as well as teaching more generally, extended by a passion for history and philosophy of education as this informs understanding of curriculum and pedagogy. John Quay’s research interests revolve around the notion of praxis, particularly the contributions of phenomenological and pragmatic philosophical theories (Dewey, Heidegger, Peirce) applied in experiential learning, outdoor and environmental education, physical education and broader areas of teachers’ work. Central to his ideas are ontological perspectives in education. His most recent book is Understanding Life in School published by Palgrave Macmillan. Recent journal papers include “From human–nature to cultureplace in education via an exploration of unity and relation in the work of Peirce and Dewey” published in advanced online form with Studies in Philosophy and Education. Peter is a Senior Lecturer at the Melbourne Graduate School of Education, with research interests in higher education policy and governance, the sociology of organizations, and the philosophy of technology. Peter Woelert has a background in philosophy (PhD, University of New South wales) and sociology (MA, University of Frankfurt, Germany). His research focuses on exploring governance and organizational dynamics in the university sector. He has researched and published on issues such as universities’ internal responses to national funding settings, the politics of research performance measurement, universities’ organizational autonomy, and the unintended effects of large-scale policy and governance reform on institutional diversity. Sophie’s research and teaching interests centre on questions of educational justice and equity. Her work seeks to understand political struggles (historically and presently) over educational provision, curriculum, pedagogy and identity. 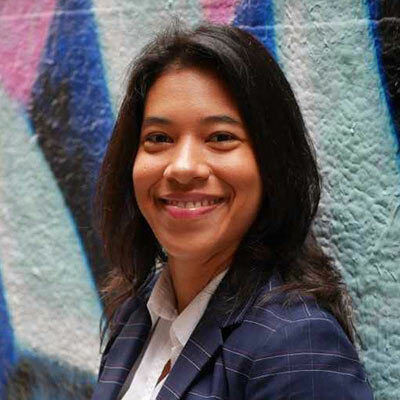 As a non-Indigenous Australian, Sophie Rudolph has had a long-standing interest in exploring issues of social justice, diversity and equity in education and, in particular, the impact that colonial history has on present day inequalities in Australia. These interests frame her teaching and research practices. Her research includes sociological and historical examinations of education and investigates issues of curriculum, pedagogy and politics in education, policy and practice. Her work is informed by critical and post-structuralist theories and aims to offer opportunities for working towards social change. 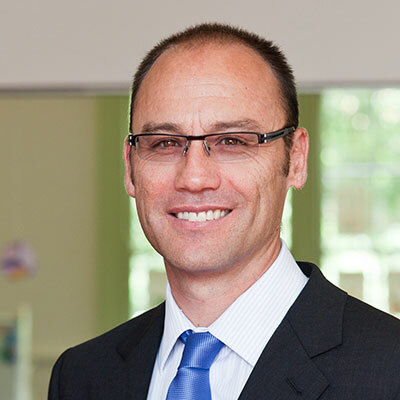 Dr Harry Galatis coordinates the Master of Teaching (Primary) course at the Melbourne Graduate School of Education. He holds a PhD in Moral Philosophy and lectures in Philosophy of Education. He has taught in both IB and other inquiry-based programs across the primary and secondary sectors. 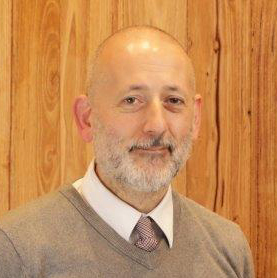 His research interests include Ethics, Critical and Creative Thinking Capabilities in the Australian and Victorian Curriculums, dialogic instruction and Community of Inquiry pedagogies. He is the Deputy Chair of the Victorian Association of Philosophy in Schools and is especially interested in promoting Philosophy for Children programs. His book, Thoughtworks: Teaching Critical Thinking to Middle Years Students (Hawker Brownlow Education) was published in 2016. Harry is currently working with Professor John Munro (Faculty of Education and Arts, ACU) on co-editing a book on questioning in dialogue. Kylie Smith is an Associate Professor at the Melbourne Graduate School of Education and has worked in early childhood services for over 30 years. 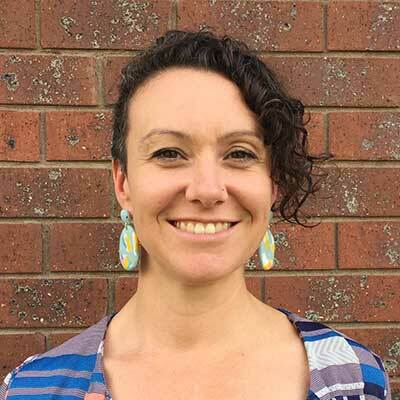 Her research explores young children’s performances of identity and Kylie is currently exploring how respectful relationships programs might look in the early childhood space. Kylie has also begun a research project on creating participatory research methodologies with young children from migrant and refugee backgrounds. She is currently working on a project concerning gender identity in early childhood and on scoping the style and content of a safety planning and communication app (My Safety App) for primary school aged children who have experienced family violence. Bonita is working on a project that explores the schooling experiences of students from culturally and linguistically diverse (CALD) background in Australia. She examines the concept of ‘participation’ – specifically, the ways in which educators and students experience and understand student participation in a primary school classroom. Her thesis is provisionally entitled Language, culture and the field of participation: Exploring school experiences for CALD students. Bonita completed a Master’s degree at the University College London - Institute of Education and the University of Deusto, Spain under the Erasmus Mundus scholarship program. Her work experiences include primary school teaching, teacher training, and curriculum development. She has also worked in various non-government organisations and in international development in the Philippines. Jay is supervised by Professor Fazal Rizvi and Professor Julie McLeod. Born and raised in Northern Philippines, he draws from his rural and transnational biography to explore topics such as imagination, futures, and mobilities of young people. His thesis, an ethnographic work, explores the ways in which young people – most of whom are children of local pocket miners and migrant women domestic workers – in the Cordillera Mountains, Northern Philippines are imagining and forging their futures in the context of banal transnational mobilities of labour, finance, and ideas. Jay was a Fulbright scholar at the University of Illinois at Urbana Champaign where he finished an MA in Educational Policy Studies and a specialisation in Global Studies in Education. He was also an NYU-Steinhardt Faculty-First Look Scholar (2017-2018) and a Deutscher Akademischer Austauschdienst (DAAD) scholar at the Bielefeld Graduate School in History and Sociology, Germany (Winter 2017). His thesis is provisionally entitled “Making-Do” for the Future: Schooling, Labour, and Gender in the Cordillera Mountains, Northern Philippines. Under the supervision of Professor Julie McLeod and Professor Fazal Rizvi, Jo is researching the transnational experiences of senior secondary students and the their families who have experience of education, work and family life both in and between Australia and other countries. Working from the perspective that the mobility of people, capital, images and ideas is an integral aspect of contemporary social transformations and times, her work examines how migrations of people can provide us with insights into social and change processes, encompassing identities, class formations, work and family life and schooling. Jo has masters degrees in social science and teaching and has worked in policy and projects within government and the community legal sector and as a secondary teacher. She currently teaches within MGSE’s MTeach Secondary program. Annette is the Principal of St Margaret’s and Berwick Grammar School. Initially trained as a scientist, Annette’s current research interests include the education of young people to be global citizens who operate ethically and knowledgeably. Her research focuses on International Mindedness and the International Baccalaureate ’s Theory of Knowledge. She was coordinator of the CSE International Education Action Group, Indigenous Education Focus Group and is an adjunct lecturer at MGSE. She served on the Science Teachers’ Association of Victoria Council and Orica Corporate Affairs Division (Education). She is an International Baccalaureate Jeff Thompson Research Award winner, a Fellow of the Australian College of Educators and the Australian Council of Educational Leaders. She is a founding member of the James Macready-Bryan Foundation and an active member of ACEL, ACE and the Principals Australia Institute Change Team. She has been a board member of ACE and The Songroom. She is also a disability advocate with a particular focus on young people with acquired brain injury. These seminars are generally held on the third Thursday of every month. Seminars held in 2017 and 2018 are detailed in past events. The Power, Policy and Politics reading group was established in 2015 and meets monthly. The aim of the reading group is to foster collegial and constructive discussion around some of the key issues around policy, politics and power in education today, including the role of the state, accountability, data, equity, curriculum and governance. 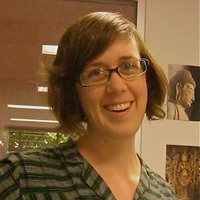 Dr Jessica Gerrard is the group's current convenor. Conference workshop featuring: Professor Meg Maguire, Professor Julie McLeod, Professor Mary Lou Rasmussen, Professor Marie Brennan, Associate Professor Helen Proctor, Associate Professor Nicole Mockler, Dr Emma Rowe, Dr Eve Mayes, Dr Howard Prosser, Dr Nikki Moodie, Dr Shaun Rawolle, Dr Sophie Rudolph, Dr Glenn Savage, Dr Jessica Gerrard, Elisa Di Grigorio, Sam Oldman and Mary Purcell. Fee: free, but limited places available. For more information and to register, visit the Eventbrite listing. In the Making of Indigeneity, López interrogates how what is 'indigenous,' as a category of diversity, emerged, has been made, re-made, and is taken up to fund discourses of multiculturalism and intercultualism. Through historical and ethnographic classroom research López devices event-alizing as a methodological approximation to educational research at the limits of 'the educational' to interrogate how liberal and progressive propositions for educating the “Indian” generate particular ways of organizing difference ostensibly meant to serve historically marginalized indigenous peoples. Asking questions of the historical and scientific involvement of anthropology, sociology, law, photography, and education in the making of indigenous as a kind of people, López accounts for the aspirations, activities, and tactics that perpetuate violence on indigenous lives limiting their futurity as un-fixed beings. For further details and registration, visit the Conference website.